BUT NOW, A THREAT FAR MORE CHILLING WAITS OVER THE HORIZON. In Washington, D.C., the president is worried. Two of America's frontline spy planes have disappeared. In Tokyo, an aggressive, secretly remilitarized Japan is plotting to bring the greatest nation on earth to its knees. In the skies over America, the U.S. has its weapon: the Coyote, a combat superplane so advanced, its creators are convinced it is invincible. 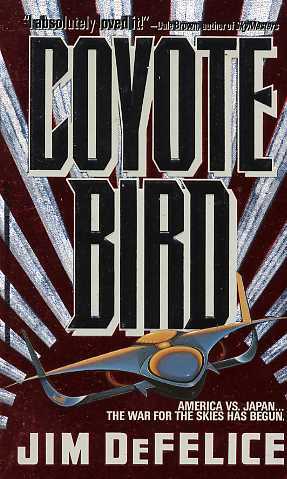 In Coyote Bird, Jim DeFelice creates tomorrow's jet-fighter thriller today--an in-the-cockpit adventure that pushes the envelope of suspense to the maximum.